THURSDAY, Feb. 15, 2018 (HealthDay News) -- Globally, more than one in 10 patients develops a surgical-site infection after a gastrointestinal operation, a new study finds. Rates vary widely, with overuse of antibiotics in poorer countries likely contributing to higher prevalence, the researchers said. "Worldwide, large amounts of antibiotics were consumed to prevent and treat surgical-site infections," said Dr. Ewen Harrison, one of the researchers. "Yet, in a fifth of cases, the causative microorganism was resistant to the pre-surgery antibiotics given, and this increased to one of three cases in low-income countries," said Harrison, of the global surgery unit at the University of Edinburgh in Scotland. "This high prevalence illustrates a potentially important area for improvement worldwide," Harrison said. His team analyzed data from just over 12,500 patients in 66 countries who had gastrointestinal surgery. About 12 percent developed a surgical-site infection within 30 days after their operation. Twenty-two percent of those infections didn't respond to commonly used antibiotics. Patients in high-income countries had the lowest rate of infection, at 9 percent, compared with 14 percent in middle-income countries and 23 percent in low-income countries, according to the study. These infections were deadly in many cases. Death rates were almost 5 percent for patients with a surgical-site infection and less than 2 percent for those without an infection, the findings showed. Hospital stays for those with infections averaged three times longer than for those without infections (7 days versus 2 days). Also, patients with infections were more likely to have another infection and further surgery, the investigators found. Rates of antibiotic-resistance varied significantly, with rates reaching 36 percent in low-income countries. That was more than twice the rate seen in wealthy countries, the study authors said. This difference could reflect overuse of antibiotics in poorer countries, the researchers suggested. They found that patients in low-income countries were more likely to receive antibiotics before and after surgery than those in richer countries. The findings were published Feb. 13 in The Lancet Infectious Diseases journal. 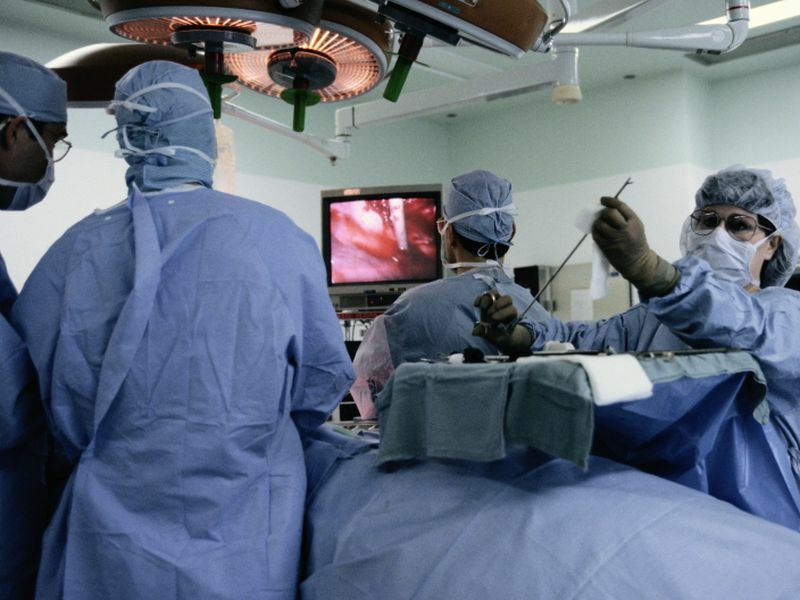 "These findings begin to characterize the relationship between surgical-site infections and global antimicrobial resistance," Harrison said in a journal news release. Writing in an accompanying editorial, Dr. Robert Sawyer, of Western Michigan University School of Medicine, called the study an "impressive undertaking." The study "substantially adds to our understanding of the global problem of post-operative infections and their associated morbidity and mortality," Sawyer said. "Although the idea that a surgical-site infection is just a surgical-site infection is prevalent, it is now well known that the cost of a surgical-site infection in terms of mortality, morbidity, health-care costs, and loss of productivity is enormous," he added.